Comment: painter can look on line - condo is 255 the Esplanade N Unit 706 kitchen cabinets are light yellow - my husband calls it off white - i want them white. Comment: I have water stains on some ceilings that I would like to have painted. Comment: Front outside doors (2) is needing to be sanded down, due to rust, and be repainted. It is a strange door due to no screen but actual holes in the metal center section. All American Painting & Pressure Cleaning, Inc.
Baber Painting and Decorating, Inc.
Venice Painting Contractors are rated 4.85 out of 5 based on 552 reviews of 48 pros. 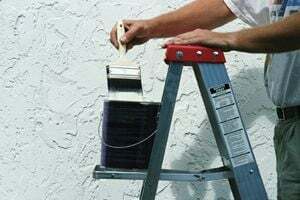 Not Looking for Painting Contractors in Venice, FL?